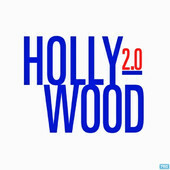 Last week I did an interview for the podcast Hollywood 2.0, run by Peter Katz and Rich Silverman. In the 50 minute interview, we discuss how I got my start, the work I'm doing at Dare to Pass, Level 26 and Cybergeddon. Enjoy!